Discussion in 'PLDT' started by LockDown, Dec 20, 2016. 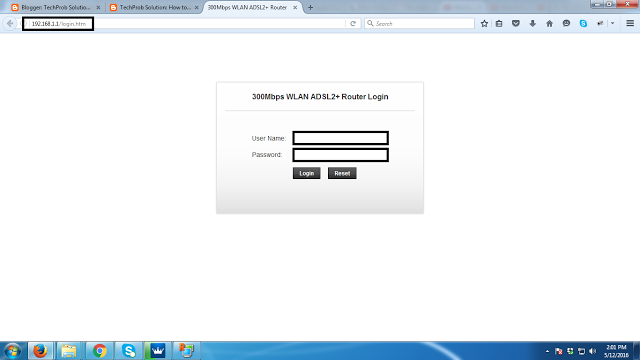 Step 1: Plug your PLDT Home DSL router in your PC/Laptop via LAN then when status connected open your favorite browser then type this IP address 192.168.1.1 and a box pop out will request log in type this. Step 4: After you set the settings, then Click the "Apply Changes" Button, then you will wait for 20 seconds. 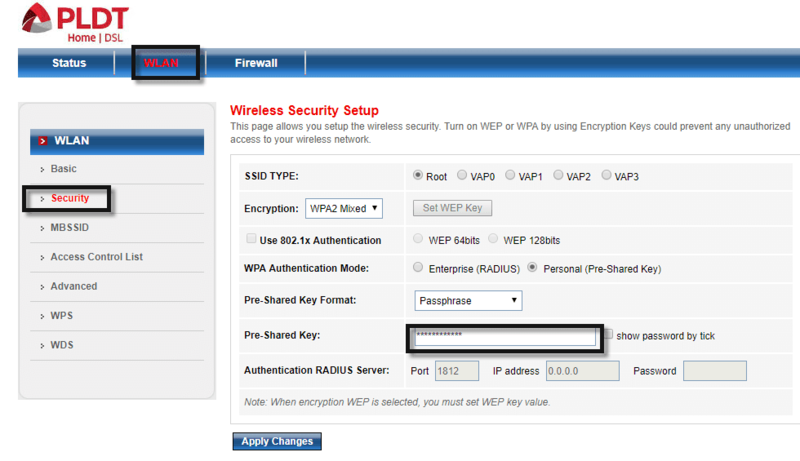 Click the Save button if you want your configuration to be effective forever. You Successfully Changed your Password. 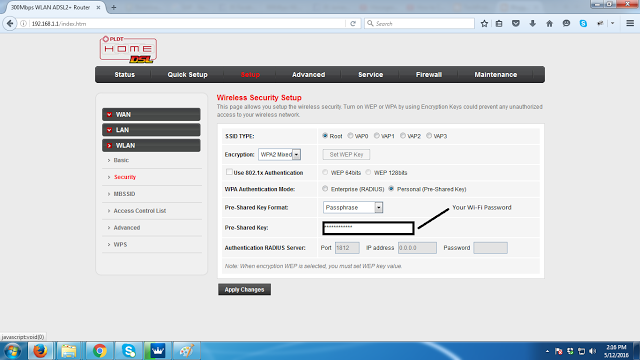 How to change wifi password in pldt dsl wifi? Thanks. Para sa prolink router's user ng PLDT you may go to, WLAN, Security, Pre-shared key. Ilagay niyo ang pass na gusto niyo. At wag niyo kalimutan na e save.